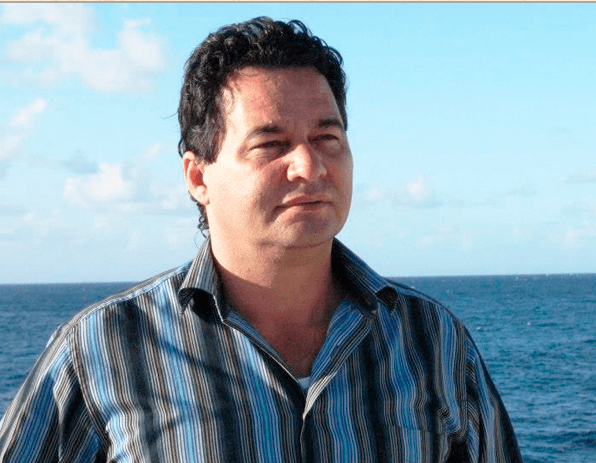 Angel Santiesteban, 7 January 2015 — To know that there is a Cuban who knew how to work against the dictatorship makes it easier to bear that the regime’s five spies are now back on Cuban soil. I rejoiced when it was revealed that this Cuban — responding not to the North American government but against the dictatorship of the Castros — was the cause, having passed information to United States intelligence agencies about the enemy network that was operating in its territory. He is a free man today, having been exchanged for the last three of those spies who were still in prison in the US]. In turn, the fact that Alan Gross is now back with his family also means relief for those of us who harbor good feelings — especially those of us who know firsthand the suffering of incarceration. If his crime is one of “smuggling,” then of what espionage is he accused? The government’s legal action was forced in the exchange for its spies, as has recently occurred. There are good reason that it has an espionage and repression machine, lubricated by the oil of experience over more than half a century. The most important thing, to my understanding, is that the Communists in power have, for the moment, been left without a carrot to mobilize social media. Throughout their more than 50 years in power, the Castros have been characterized by public “yearnings” — which they use to keep the Cuban people distracted. 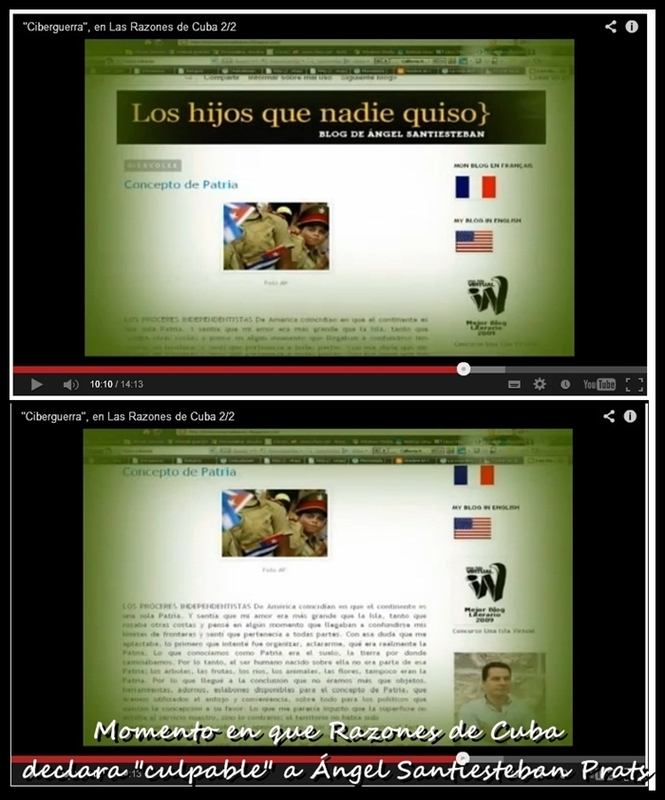 Nobody can forget the months of intense, manipulative propaganda regarding the return of the boy Elián Gonzalez, later replaced with an even more intense campaign for the return of the spies. 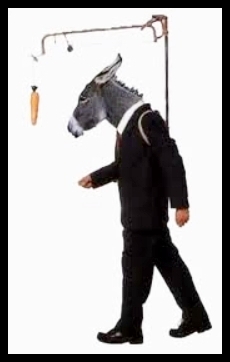 I suppose that at this moment, the ideologues of the regime must be finding themselves in a forced march in search of a new carrot to dangle, as well as a new objective to achieve. In the meantime, they will find entertainment in the embargo, which they like to call a “blockade” in order to produce maximum solidarity effect. Starting with Obama’s announcement of establishing diplomatic relations with Cuba, an interesting chapter is opening that could end up, for the regime, being even more destructive than the embargo. December, 2014. Border Patrol Prison Unit, Jaimanitas, Havana. 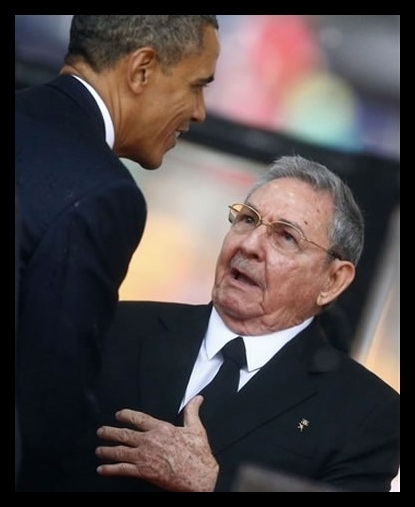 Angel Santiesteban, 2 January 2015 — It finally happened, what a part of Cuban society desired and another share feared: Cuba and the United States resumed diplomatic relations. To criticize President Obama would be an innocuous, ungrateful, and useless, if we learned from José Martí that in politics what isn’t seen is bigger. Obama has charted a course and we have no option but to watch from the stands. that some remember that they gave him their vote isn’t elegant, especially because we must be grateful for the sheltering of several generations of Cubans. It’s a glaring mistake to think that Obama should defend the rights of Cubans when his only obligation is to guarantee the prosperity of the United States. After having done that, he can — as he has done up to now — support the reality of Cubans: but the political, economic and strategic interests, at the presidential level, outweigh what a good part of we Cubans consider best for our nation. We all know that the embargo was mild when compared — for example — with the sanctions applied to Russia right now. With the tiny totalitarian government of the Castros, we are now writing history, perhaps the worst since the Special Period, and where the only sustained human casualties were the most economically vulnerable Cubans unable to face the extreme hunger. We might think that the United States never wanted to carry this guilt, because — needless to say — the leaders, their power structure and their minions, have not reached the rigor of that escalation that, ultimately, even the most extremist had criticized. On the other hand, it is not OK to demand constant turns of the screw to the impoverished Cuban economy when it is so distant and you know that you won’t experience even a single drop of the misery caused. Most particularly, I continue against the lifting of the embargo, because — as I’ve said before — to the extent the dictatorship is strengthened, the arbitrary executions, illegal and abusive treatment against the dissidents. But to avoid our own suffering, more than is our usual share, we shouldn’t desire it for the rest of the population of the archipelago. Now our minds are overwhelmed trying to unravel the intention of the American president. In the next post I will share my musings with respect to, where — perhaps — we could all be mistaken, because finding myself isolated I don’t hear what the specialist say on the topic. Perhaps what I consider an inconvenience, is an advantage, because the blind here the chords of the instrument better. 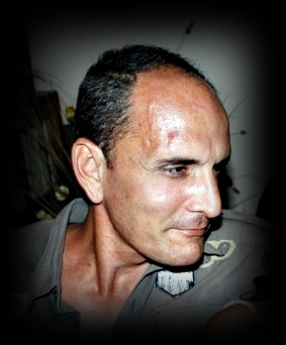 Luis Felipe Rojas, 12 February 2015 — Just days after Ángel Santiesteban Prats sent this interview to Martí Noticias, he was transferred in an untimely manner to Villa Marista, the general barracks of Cuban State Security. However, his replies were already safeguarded, as was he. This storyteller — who won the UNEAC (Cuban Writers and Artists Union) prize for his collection, Sueño de un día de verano (Dreams of a summer day, 1995), the 1999 César Galeano prize, the Casa de las Américas award of 2006 for his Dichosos los que lloran (Blessed are they who weep) — later started a blog where he set forth his ideas on human rights in Cuba, and he did not cease even unto imprisonment. In 2013, Ángel won the International Franz Kafka “Novels from the Drawer Prize,” which convened in the Czech Republic, for the novel, The Summer When God Slept. Today he is responding to these questions from his improvised cell in a Border Patrol unit of the Ministry of the Interior, in Jaimanitas, Havana. Luis Felipe: At which moment did the narrator and character Ángel Santiesteban come to be? Ángel: I can affirm that he came into existence at the end of the 1980s. I believe that the need to write, to communicate, to transmit my feelings, were a way of dealing, precisely, with the pain I felt inside of me. I recall that my first literary sensibility arose at the age of 17, when I found myself imprisoned at the La Cabaña fort, for the “offense” of having accompanied my family to the coast, with the intent of seeing them off, as it turned out. They were later caught on the high seas, and I was charged with harboring fugitives — but on the day of the trial, the court ruled that, according to current laws, I could not be so charged, because between parents and children, and between siblings, such action was considered reasonable. However, I was prosecuted anyway because, according to the district attorney, I should have reported my relatives for clandestinely leaving the country, which is considered an act of treason against the totalitarian regime. Notwithstanding, I remained in jail for 14 months. Thus I consider that before I was a writer, I was already one of my characters, which I used to share my personal pain with the other characters that, as of that time, I began to construct. In each character created by me, there is my pain, or that of my family, friends and neighbors. I am a social reflection of my times, and there is where my commitment lies: with myself, with my mother, with history and with my times, with no concern for the consequences that this posture might entail for me. I suffer with every word I write, I bleed for every passage that I execute. I live and die with my characters; but always, I believe above all, it is through art that is genuine and uncompromised. Luis Felipe: To what point were your narrative demons fused with your social intentions? Ángel: I swear that this was not a goal, nor was it a commitment, and even less intended as a means to shock or gain attention. I believe, in fact, that this is not the way to achieve art. My creative seed took root in nonconformity and social fear — individuals who hid their antipathy to the political process and pretended, or pretend, to be sympathizers of the dictatorship — and this reflection of my times turned me into a voice, an alternative, and it was an unconscious process, because the foundation of my artistic vision is that which lacerates me, which strikes or preoccupies me, and then I want to capture it in the best way, according to the literary tools at my disposal. When I discover a thought in a personal passage, or hear an evocative anecdote, a force is ignited in my being, and a different hunch alerts me that I should attempt it, and almost always this is tied to a social consequence. Luis Felipe: You have assumed the tragic sense of life. Like Severo Sarduy, Guillermo Cabrera Infante or Reinaldo Arenas, you have assembled a literature that becomes condemnation. What does Ángel Santiesteban Prats process or write from within this enclosure? 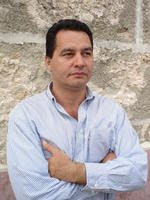 The author of this interview with Ángel Santiesteban, 20 January, 2010, in Havana, Cuba. Ángel: Above all, to recognize that with any artist to whom I am compared, among those three great Cuban writers, I am honored, and I appreciate the noble hereditary line in which you have placed me, because I will always recognize the distances between them and me. I respect them for their work and life, the suffering they hoisted like a flag, for choosing the emigration option, looking for those “three trapped tigers,”* who were them, for having been voices discordant with the political system. I have experiences similar to Reinaldo Arenas, in terms of imprisonment and the cultural marginalization that he suffered; but I identify with all three in the matter of emigration — only that in their cases they had to displace themselves from the Archipelago, and in mine, I live those same consequences, but from the interior, inside the Island. For this reason, today I write about the reality that surrounds me, the injustice that I live. I once wrote in a post that the last place that the dictatorship should have sent me was here, where I have had to develop myself as a human being, artist and dissident. I have written a book of stories out of pain, but which in my view and that of my friends, is still very raw, and I need to distance myself from the experience to revisit it and remove a political intention which, inevitably, is reflected in this collection of stories. I also wrote a strange novel, with a prison-life theme, which I intend to revise upon my release. I started a novel, Prizes and Punishments, of a more biographical cut. My life experience is tragic. I have lived a tragic script that affects society, caused by the dictators’ political whims. It is known that “we writers nourish ourselves from human carrion,”** and this system is quite given to soiling us with the blood of its victims. Luis Felipe: Your characters appear to be stricken with pain as if there were nothing else on the horizon. From whence this creation, these pieces of change contained in every story? Ángel: At times it is, in a word, an image, or the reflection of an anxiety. When I perceive that someone is suffering, I feel a need to help him. I fervently believe that if a writer does not help to change — to heal — that reality, at least he has the duty to reflect it like a mirror of his times, as a social function. And, at times, we even seek alternatives to anemic responses for those sufferers, when they see in the characters their more immediate reality. We have the possibility, as part of creation itself, to substitute, improve, provide, replace, exchange, our given destinies, and to create for ourselves something better. The variables can be many, to the extent of the writer’s capacity for talent and his artistic needs. I feel that I am the reflection of my times and so I try to capture this in my work. Luis Felipe: If we refer to the backstory you provide in The Summer When God Slept, your novel is the reconstruction of an era. Describing life at sea, characters that are not precisely fishermen, the actual circumstances in which they decide to launch themselves to a new life, or to death, and the outcomes that come to pass from what we today know as the “Rafters Crisis,” what we have is an historical novel. What were your tools — were they historiography, sociology, or a thorough knowledge of those narrative techniques that you have been displaying for a long time? Ángel: When I tackle a subject that I have not experienced, which is not even found in books that can be consulted, I begin a field study — in my case, depending on my subjects, with the soldiers who participated in the African wars, with the rafters who chose to return from the Guantánamo Naval Base, or marginalized characters who survive through crime. I always make recordings of their narratives. In a few cases I had to turn off the recording equipment at the interviewee’s request, when they incriminated themselves in their testimonies and fear forced them into self-protection, upon revealing delicate matters — for example, terrible orders from a high-level military commander in Angola that produced innocent victims, or acts that they themselves committed and for which they are now ashamed. I have the need, when I begin to treat a subject, to know every event — the history, the culture, the color of the earth, the scents, the vegetation — details that help me to transport myself and live in my imagination, to recreate, to go back in time and see, and feel, what I narrate. The majority of the characters in my novel, The Summer…, are based on relatives or friends. Manolo is my younger sister’s husband. It is true that he was involved in the conflict in Africa, that he was a combat engineer, that he risked his life in the Florida Straits on a raft with other relatives, and that he later crossed the minefield [around the American naval base at Guantanamo] to return to Havana with his family. In him, in that character, are composites of many characters. I interviewed every rafter I have met, producing hundreds of hours of cassette recordings — which is what I would use in the mid-90s — and in every one I captured the pain that burst from their words, gestures and silences. Luis Felipe: There is a period of “painful apprenticeship,” as Carlos Alberto Montaner might say. Why are your stories loaded with victims? Ángel: I am convinced that every Cuban who is a participant in the political processes — not only since 1959, but from before — is a victim of the whims, ambitions, and bad intentions of those leaders who have arrived at positions of power in the nation. In particular I base my view on the experience, the suffering, of the generations since that of my parents, through today, and I consider them victims of the regime. And not just those who were opposed, but I also add those who were deceived, those who like my Uncle Pepe, bet on a better country, democratic and humanist, until they discovered that they had been deceived, but then no longer had the youth or courage to confront the deceivers — and they decided to take their own life out of shame at having been party to this miscreation that has governed for more than half a century, and has done so by executing, jailing and assassinating via its structures for repression and espionage. Those who emigrate, those who remain inside the Island with their fears (even if only one); those who at some time have needed to pretend so as not to be reprimanded or punished; those who have lied, or are lying, and who betray their real thoughts and opinions about the reality that surrounds us — all are victims of the system. I always reiterate that the only ambition I have had in life is to understand people — to understand them even if I don’t share their reasoning, but at least to know the cause, the feeling that they had at the moment of committing an act, be it positive or negative. I don’t always achieve this with human beings, but I do so with my characters. They must be transparent to me at the moment that I tell their story, understanding their actions, thinking and functioning. I am a victim of my times, in the company of my characters, who reflect this human suffering. Luis Felipe: It appears that you inhabit a space between the pieces of Carlos Montenegro and the lost souls of Reinaldo Arenas. The protagonists of your novel and stories move between the perdition of the night and the disillusionment of the days in Havana. Do you not fear that you will ultimately tell of a Havana that has been told and told again? Ángel: Montenegro’s version is my personal experience, and we already know that reality surpasses us — it being so rich in hues, in multiple, inexhaustible tones that guarantee the health of that approach in the city and to the city. 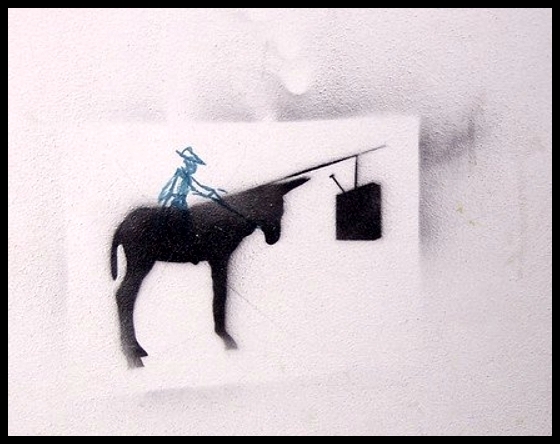 There is always a trace that hasn’t been covered, a new way of telling the same story, of sharing imperishable themes. 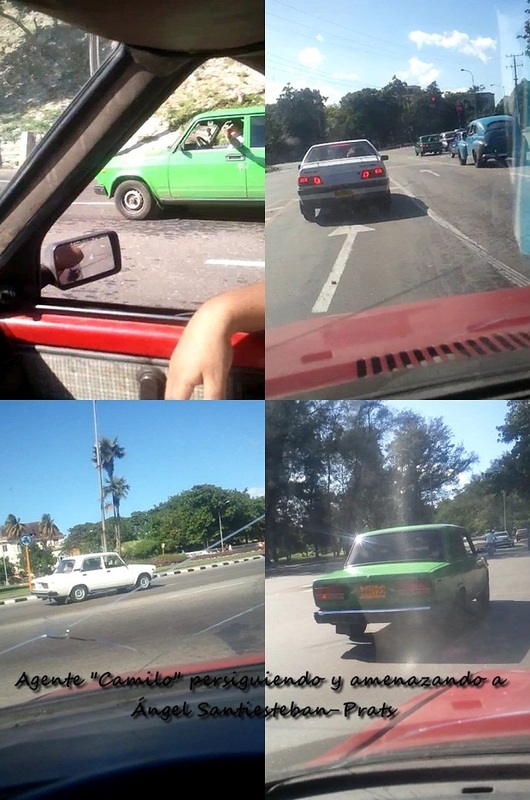 Not even the same photo taken repeatedly in rapid succession can capture the same subject because its colors change constantly. Yes, I fear repeating those paradigms of Cuban literature, but I do not believe that it can seem an imitation of those great and special writers, because there are many ways of seeing, ways of telling this Havana, this Cuba, at times so beloved, or so hated. Border Patrol Prison Unit, Jaimanitas, Havana. * A reference to the novel, “Three Trapped Tigers,” by Cuban writer Guillermo Cabrera Infante. ** Santiesteban is quoting Cuban writer Amir Valle, who made this statement during an interview with the journal, IberoAmericana, published in 2014. The original Spanish phrase, “Los escritores nos alimentamos de la carroña humana,” is used in the title of the article. As for my son, Eduardo, he also offers me his support. This, despite maternal pressure and influence from those who love him yet succumb to their own political cowardice, and surrender before the political police; even when, in silence, they think the same way I do and admire me — and expressed as much in the dedications of books that I guard jealously, in the event that some day, history might understand them. My children wait for me because they know that I belong to them, and they need me — and also because I am a friend of both of them, and we discuss all human issues. Yet they also understand my need to be an intellectual true to his time and the sacrifice that I savor like honey in my mouth. December, 2014. Jaimanitas Border Patrol Prison Unit, Havana. 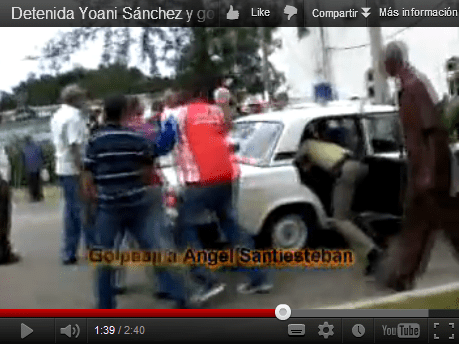 Ángel Santiesteban-Prats was and is the victim of Cuban State Security, which wants to silence his voice of opposition. They fabricated a judicial action based on false denunciations from the mother of his son, who properly denied them when he announced internationally that he had been forced by his mother and the political police to declare against his own father. Some secret accords between the administration of President Obama and the dictatorship of Raul Castro, encouraged by his Holiness Pope Francis I (knowing the “Santiesteban” case, since he has received many letters and faxes), have effected the renewal of diplomatic relations between both countries. As a gesture of “good will,” the dictator freed 53 political prisoners, of whom 14 were already released, demonstrating once again how Castro ridicules the whole world, including those who favor treating him in a way he doesn’t deserve. 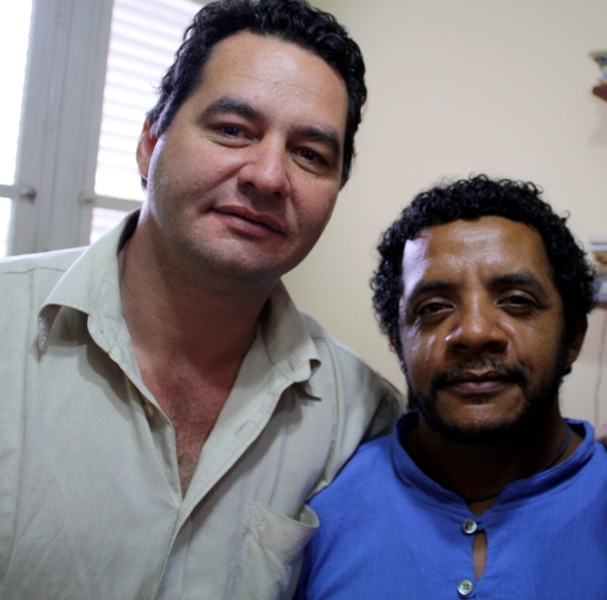 Shamefully, Angel Santiesteban-Prats wasn’t included on that list [of prisoners to be released]. Obama, as well as the “human rights” organizations that composed the list, know very well that the dictatorship’s most effective method is to condemn the opposition for common crimes that are invented in order to take support away from them and in order to deprive them of the possible benefit of amnesty. Nor can those who composed the list of “approved” political prisoners justify the Machiavellian maneuver of the “legal bureaucracy” (not being “bureaucratically” political prisoners, they can’t be on that list, although the trap perpetuated against them has been made public). The fact is undeniable: They ignore and exclude those “common prisoners” condemned because of their opposition and moreover are responsible for the injustice they committed with Angel’s exclusion. 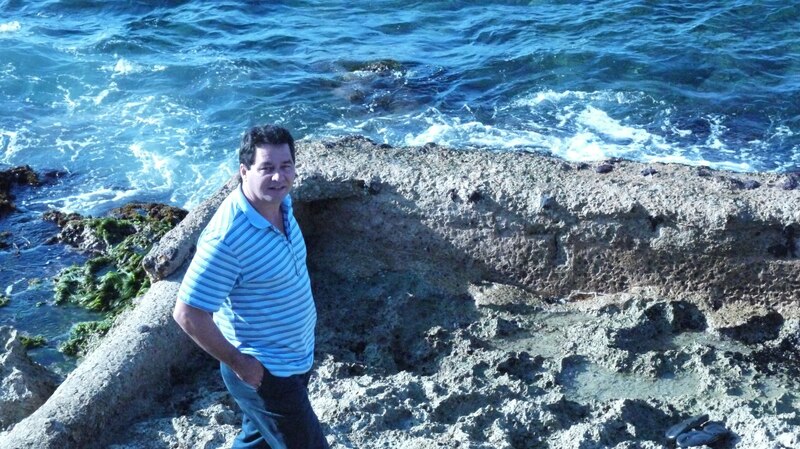 It’s worth remembering once more that Angel Santiesteban-Prats must be the only common prisoner on the island who was offered freedom in exchange for abandoning his political posture, many times. Each time he refused. Angel not only remained off this list because he is — according to the dictatorship, the Pope, President Obama, and the intervening human rights organizations — a “common delinquent,” they also laid another legal trap, delaying for more than a year the “benefit” of a review of the ridiculous judgment. This “review,” approved but not yet carried out, left Angel outside any possibility of enjoying his rights as a prisoner, among them conditional liberty, which he should get in April, upon fulfilling half of his sentence. The explanation is again a bureaucratic one: While there are pending “matters” with justice, there is nothing conditional; now Angel has a pending review that will never happen. The ones guilty of this situation are Raul Castro and his always-and-never-dead brother, Fidel. But by the same measure, so are all those compatriots who call themselves “activists” and “dissidents,” who know that Angel IS NOT a common prisoner but a prisoner of conscience. They left him alone and excluded him from the list. You have to ask yourself how many more of those “common prisoners” have also been forgotten when that list was drawn up. Any honest and decent agreement must include the demand (no one demanded anything from the dictatorship) of immediate and unconditional freedom for ALL Cuban political prisoners. Angel Santiesteban-Prats has always expressed this demand in his writings from prison. From here on, and condemning the silence and the complicity of everyone involved in these agreements, WE DEMAND THE IMMEDIATE, UNCONDITIONAL RELEASE OF ALL POLITICAL PRISONERS. The rest, as the people of Cuba say, is mere jabbering, cheap politicking.